I am a meteorologist and climate researcher with 37 years of experience in the field. For twenty five of those years I worked as a television meteorologist with 13 of those years being at NBC30 in west Hartford. One of the reasons we teach people about history is to give them ability to place current events into their proper context. The same can be said about weather history. Those who do not know the history of weather do not know how to place current events such as hurricanes, tornadoes, snowstorms, floods, droughts, heat waves, cold waves and all other types of weather phenomena into their proper context. 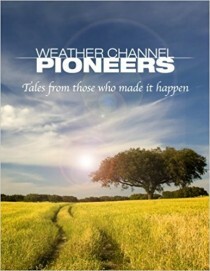 If one does not know weather history than that person might think that all “unusual” weather is new and unprecedented. In a July 30th, 2013 Associated Press story titled “Connecticut warns of dire climate change consequences” you were quoted as saying “You can see what’s happening”. You went on to say “The intensity of storms is pretty significant. The damage has been equally significant.” I would agree with both of those statements but I believe what you were trying to convey was that storms are becoming more severe and more frequent in Connecticut than in the past. I could be wrong. Connecticut has experienced four tornadoes this summer. This is not unprecedented or unusual. Outbreaks of three or more tornadoes on a single day occurred in 1786, 1787, 1878, 1973, 1989, 1998 and 2001. In 1973 there were 8 tornadoes on 6 different days. Connecticut averages about one tornado a year so they are not unknown or unusual here. In addition, our ability to detect tornadoes is significantly better than in the past. There has been no increase in the number of tornadoes nationally nor here in Connecticut. The long term trend in strong to violent tornadoes nationally is actually down since the 1970s. The Associated Press story was written by Stephen Singer who wrote that Connecticut was struck by Tropical Storm Irene in August of 2011, a “freak” snow storm in late October of that year and “Super Storm” Sandy in late October of 2012. I believe he was trying to imply that there was something strange and unusual about these storms. He does not know weather history. Tropical Storm Irene was not a major storm by any measure used to evaluate these storms. It was a Tropical Storm with sustained winds below low lowest category of Hurricanes, a category one. It struck at the new moon high tide in some portions of Southern New England accentuating the storm surge in coastal areas. Connecticut had not been hit directly by a Tropical Storm or Hurricane since Hurricane Gloria in 1985 so we were inexperienced and vulnerable to the effects of a storm with Tropical Storm force winds when the trees were in leaf. The snow storm of late October was unusual but not unprecedented. A snowstorm struck the Northeastern United States on October the 4th, 1987, nearly a month earlier. That storm dumped 9 to 20 inches of snow across portions of Connecticut, Massachusetts, New York State and Vermont. Other notable October snow storms occurred on October 6th, 1836 and October 10th, 1925. A Tropical Storm combined with cold air produced large amounts of snow across interior Connecticut on October the 9th, 1804. These storms were all weeks earlier than what took place in 2011. Hurricane Sandy was not a “Super Storm”. This label was assigned by the news media. Those who called Sandy a Super Storm did so because they liked the sound of “Super Storm.” Having worked in television news rooms for 25 years I am well acquainted with these exaggerations. The term “Super Storm Sandy” sounds much more dramatic than “Sandy is a category one Hurricane on a scale of one to five” which is what it was. Sandy had a wide circulation of Tropical Storm force winds of 39 to 73 miles per hour, partially due to a large high pressure area to the northeast of the storm and partially because it was being absorbed by a mid-latitude jet stream. Actually there were no sustained Hurricane force winds anywhere on the east coast of the United States from Sandy. The angle at which Sandy hit the coast at the full moon high tide in areas that had not been hit by a tropical storm in many years were three significant factors in causing so much damage not to mention building structures right up to the waters edge. A true “Super Storm” did strike Connecticut seventy five years ago. The New England Hurricane of September 21st, 1938 was far, far worse than Sandy. This was a category three Hurricane traveling at sixty miles per hour. There are no wind measurements from the storm in Connecticut even though there was a sufficient network of anemometers across the state. The 1938 hurricane blew them all away when the winds reach 100 miles per hour. Estimates from barometer readings and computer simulations indicate this storm had maximum sustained winds of 120 miles per hour with gusts as high as 160, a true Super Storm. Atmospheric carbon dioxide levels were around 310 parts per million at the time of the 1938 storm. Today carbon dioxide levels are up to 400 parts per million. The amount of carbon dioxide in the air in 1938 had nothing to do with that Hurricane and the amount of carbon dioxide in the air today had nothing to do with Hurricane Sandy. Somehow reducing the amount of carbon dioxide in the air to 1938 levels would not have prevented Hurricane Sandy. As a percentage of the atmosphere, carbon dioxide has increased a total of 0.01% since 1850. History is full of terrible storms when carbon dioxide levels were much lower than today. Ice core temperature reconstructions from Greenland clearly show us that weather is much more extreme when the earth is colder, not warmer. It is the temperature contrast between the poles and the equator that makes weather. The bigger the temperature difference between the poles and the equator, the more extreme the weather is. The ice core data proves this beyond a shadow of a doubt. A warmer world would have less temperature contrast and therefore less extreme weather. The global warming crowd has it backwards. It’s advocacy not science. When confronted by these facts many people have no ability to reply so they point to authority institutions such as NOAA, NCAR, NCDC, NASA, The National Science Foundation, The National Academy of Science, American Physical Society, The American Meteorological Society and many other government and academic institutions and societies. All of these organizations have issued proclamations that man made global warming is real and is caused by burning fossil fuels. Based on their unanimity we are therefore supposed to believe they are correct. Some people believe that large institutions are exempt from making mistakes. As an example, in 2006 NASA predicted sunspot cycle 24, the current cycle we’re in now, would be the strongest in 300 years. The reality is that it will be the weakest in 100 years. They could not have been more wrong. The truth is that we really don’t know what these government agencies and other organizations and institutions think of global warming. The department heads of government agencies and the boards of directors of academic institutions and societies may claim that their respective organizations support the man made global warming theory. The problem is that they never asked the people who actually make up these government agencies or institutions what they think. For all I know 75% of all NASA employees may not believe in man made global warming, but nobody knows because nobody asked them. Just as President Obama does not speak for me and at least 57 million other Americans, The department heads and leaders of government agencies and other large institutions don’t necessarily speak for their membership. I know this is long winded but I believe this subject is so important to the future of America that we need to address this issue seriously and objectively, especially due to it’s critical impact on our energy future and therefore our prosperity. On January 13, 1920, the New York Times ridiculed the ideas of Robert H. Goddard. Goddard, a physicist and pioneer in the field of rocketry, was at the time sponsored by the Smithsonian. Nonetheless, the Gray Lady argued in an editorial that thinking that any sort of rocket could ever work in the vacuum of space is essentially foolishness and a blatant disregard for a high school understanding of physics. The editors even went into reasonable detail in order to debunk Goddard.